The Law Offices of David M. Baker, P.C. is a general practice law firm founded by Attorney David M. Baker in January, 2011. Attorney Baker has held a number of different positions which allow him to provide excellent legal service in a variety of distinct areas of law. David grew up in Reading and attended the Belmont Hill School. After graduating from Dickinson College in Carlisle, Pennsylvania in 1993 with a B.A. in History, he worked as a subrogation specialist at Tufts Health Plan, which provided excellent training in the insurance field. 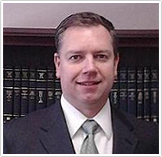 Attorney Baker then began his career in law enforcement as a financial investigator with the Criminal Bureau of the Massachusetts Office of the Attorney General for almost ten years. There, he worked as a team with the Massachusetts State Police and assistant attorneys general in investigating and prosecuting white collar crime. He attended law school at night at the Massachusetts School of Law while continuing to work full time. After graduating near the top of his class, Attorney Baker worked as an assistant district attorney for three years at the Middlesex District Attorney's Office in the Cambridge and Woburn District Courts, prosecuting crimes ranging from domestic abuse, operating under the influence (OUI/DUI), and illegal drug distribution to complex corporate embezzlement. David honed his skills as a litigator in courts across Middlesex County by trying approximately 75 jury and bench trials. David is licensed to practice in all Massachusetts Courts as well the United States District Court for the District of Massachusetts. Attorney Baker has the savvy, experience and track record to handle a wide variety of cases. His formidable reputation often gets highly favorable results much faster. And most importantly, Attorney Baker stands by his clients until the complete resolution of their case. © 2015-2016 Law Offices of David M. Baker, P.C. All Rights Reserved.